I’m back! It’s November 30th – which is the last day of fall, in my non-scientific opinion. 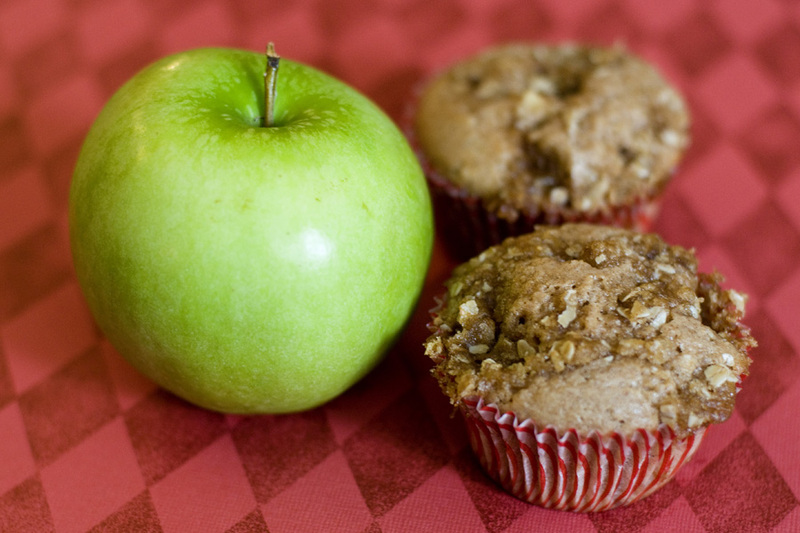 I thought I’d make one last fall-inspired recipe – caramel apple muffins. I made these a few weeks ago and am just now getting around to blogging about them! They were delicious — but a bit more yummy if served warm! 1. Preheat oven to 350 degrees and grease a muffin pan. In a large bowl, whisk together the flour, sugar, baking powder, spices, and salt. 2. In a medium bowl, whisk together the egg, milk, butter, and vanilla. 3. Stir the wet ingredients into the dry ingredients just until moistened. Fold in the apples and caramels. 4. Combine all of the topping ingredients in a small bowl. 6. Bake 20-25 minutes or until a toothpick inserted into the center of a muffin comes out clean. Let cool in the pan 5 minutes before removing to a wire rack to cool slightly. Serve warm.